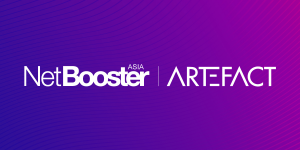 Who is NetBooster Asia team? • We deliver one stop digital marketing solutions from strategy to execution. • We operate our campaigns in real-time: rethinking and adapting incoming data to decode, predict, and react to consumer behaviour – as it happens. by integrating data and creativity. We’re looking for ambitious team players, razor-sharp and curious professionals who can teach us a thing or two. We promise to return the favor. Like us, you are passionate about marketing and the digital world; you believe that the winning agency of tomorrow is the one that is able to mix seamlessly data and creativity, and that China will lead the world to the next digital revolution. We embrace those who see things differently, with an ingenious mind, who thinks limitations are just an opportunity to be more creative. The Creative Director should make sure the creative direction and campaign on creativity base is complying with the clients' initiatives and requirements. Working closely with digital team on different projects for clients for integrated strategy with concepts and design. Proactively deliver the creative solution for existing clients and also pitching the new business. • Partner with account and planning in strategic thinking to achieve our international clients’ brand objectives and lead to “famously effective” work. • Control the project progress and creative/execution quality. • Present and sell ideas effectively. • Responsible for hiring, coaching, evaluating and managing the creative team members. • Bachelor’s degree or above. Overseas experience is a plus. • 8+ years of professional creative experience; experience in digital/social agency is a plus. • Ability to generate big ideas that can be adopted on multiple media touch points to provide brand experience to consumers. • Strong presentation skills and effective client relations skills. • Mastery of project concept creation, site architecture, user-interface specification, functionality specification and interactive design. • 2 + year of Web analytics experience. • Excellent web analytics skills, extensive knowledge of Google Analytics. The Senior Search Engine Marketing Manager will be responsible for planning, optimizing, and implementing paid search engine marketing activities with cross referencing to natural search result. This position is key to future growth and will be responsible for the top-to-bottom management of our pay-per-click (PPC). Social Media Copywriter worked in Social team with an experienced Social Media Manager to concept, create, and produce creative contents which will be presented via official website and all kinds of social media channels. • Write highly creative, engaging and consumer insight-driven contents for digital and social media platforms,including but not limited to WeChat, Weibo, Blogs, Microblogs, BBS/forums, ePR sites, Video Marketing sites. • Academic Qualification: Graduate of journalism, marketing or related course. MBA/Master degree holder a plus. • Ability to write highly creative, engaging and consumer insight-driven contents for digital and social media channels. Experience would be a plus. • With a minimum 2 yearsof working experience. • Must be fluent in oral and written Chinese Mandarin. Knowledge in English would be a plus. Account Executive (AE) help to Account Manager serves as the primary business contact for the client and is responsible for client satisfaction. Support the day-to-day communication/information sharing and project support needs between the clients. The role will require strong communication, teamwork, project management and organization skills. • Be able to receive a brief from client along with the account manager. Coordinates work schedule across the different departments of the agency. • Assist the Account Managers in preparing quotations and simple sales deck. • Be able to schedule meetings with different suppliers/partners/client meetings when necessary, account manager or business director. • Assure flawless execution of client projects, prioritize resources, and keep team and other groups informed of progress and changes. • Market checks to better understand client's business and reports to agency team. • Reviews all client-facing materials for accuracy. • Demonstrated strategic or consultative approach to account management. • Experience in website development working process. • Work with planning manager to understand client’s business and media objectives. • Full support for planning team in data collection, data analysis and data insights. • Liaising with functional departments to understand the full scope and adjust media strategy to fit company’s overall digital strategy. • Maintain all planning records, such as PPT and Data sheet, and build planning resource pool to improve better efficiency of planning department. • 1-2 year of experience in digital planning, display advertising or creative area. • Good in Written English. • Collaboration with multiple digital channels so that to develop a systematic understanding of digital marketing. • Enhancing your strategic thinking and planning skills. The job scope covers: client service, development of customer insights, development of direct marketing and interactive communication strategies and lead generation programs, supervision of digital campaign executionsandmanagement of fulfilment. • 4 Roles necessary when working closely with Channel Teams (incl. SEM, SEO, Programmatic, Social, E-commerce and Creative): A strategic thinker, an excellent communicator, a negotiator and Aself-starter team player. • 5 Skills essential when working with Account Team: Leading, Inspiring, Coaching, Empowering and Developing. 1.Responsible for ensuring Client satisfaction and handling strategic issues or problem resolution of one-to-one marketing issues. 2.Develop a comprehensive understanding of the marketplace and our Client’s business including various media and distribution channels. 3.Pro-active strategic proposals for customer management business opportunities. 4.Developing and keeping excellent relationships with all client contacts. 5.Contribute and if appropriate lead new business pitching opportunities. 1.Take responsibility for overall project management. 3.Effectively manage and interpret Client feedback. 4.Develop working relationship with Account Team to ensure that once briefed the campaign/project runs forward smoothly. 1.Work with BDD to project future account team personnel requirements and overcome any existing issues. 2.Manage the workload, working with Account Team Members to optimise efficiency and spread the load as necessary, providing feedback to your BD/GAD on planning and any issues. 3.Take responsibility for management and motivation of account team members to allow them to achieve maximum potential. 1.Acting as a trusted communications integrator across teams, keeping client and our teams informed all the time and providing answers to any questions regarding the projects he/she is responsible for. 2.Maintain a consistently high standard of presentation and documentation by all team members. 3.Always endeavour to practice a major presentation with all participants prior to the event. 1.Establish and communicate budgets and work back schedules for each project. 2.Demonstrate awareness of need to achieve quarterly targets and understanding of management of finances and Client budgets at year end. 3.Ensure adherence to the client contract agreements where appropriate for all man hours’ fees and third party costs. • 7+ years of experience in Client Service of digital agency, international advertising agency. • Managerial experience (leading, developing and motivating team members) is a must. • New business opportunities exploration skills. • Leadership skills: ability to guide, direct, or influence people; active listening, providing feedback, be accountable and transparent and earning credibility by role modelling – leading by examples. • Strong project management skills: outstanding organizational and planning skills (ability to juggle multiple projects), great attention to detail and follow-through, ability to multi-task and consistently meet deadlines. • Exhibiting strong strategic and operational decision making skills. • Negotiation skills: ability to use a range of approaches and strategies to build a stronger negotiation base and form long-term relationships. • Language skills: fluent in both speaking and written English. • Good financial and budget control skills. • Savvy in identifying potential challenges for the business and comfort taking the lead in solving them. • Knowledge of the client’s business (organization chart, local and international contacts, structure) and brands (history, target groups, positioning, identity, product ranges and categories). • Works with the Account Director, ensuring that client requirements/project briefs are received, converted to an internal version, and cascaded to the team in a clear, complete and accurate manner. • Provides regular input on all account activity, including status and call reports on a weekly basis. Project Manager is responsible for all aspects of the campaign lifecycle. The role will include campaign management; client service management involves maintaining the accuracy and organization of all bid management & trafficking processes and agency interactions related to assigned campaigns. The ideal candidate will have prior digital planning or buying experience, DSP campaign management and optimization experience, strong analytical, writing and comprehension skills, and strong client management experience. Prior experience with bid management platforms and active campaign optimization efforts is important. • Execute, manage and optimize digital media campaigns and programs (e.g. auction/exchange based performance media, audience-based buying, remarketing campaigns) while meeting or surpassing client performance expectations. • Responsible for communication of campaign performance including the ability to provide insightful feedback on questions related to technology, data and optimization & in-platform QA. • Build reports to accurately communicate campaign pacing and performance with the assistance of the Analytics team. • Participate in organic & strategic new business pitches.